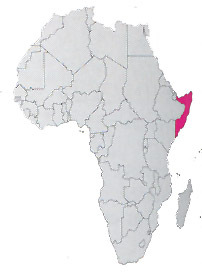 Wide territory in the Horn of Africa (extended not much more than the double of Italy) without a true state, without institutions, without services. At the present time there are two declared independent Republics (the Somaliland and the Puntland) under the control of armed militias of Egal and Ahmad. The consequence of that all is war, armed bands, thousand of refugees.